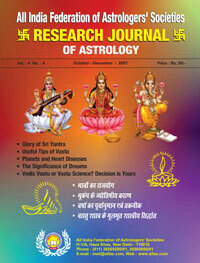 The roots of Indian Astrology can be traced back to the dawn of history. According to Indian Astrology, your true self & personality is defined by the position of the planets, at the time and place of your birth. The present and future positions of the planets are compared with those of your birth chart to predict your future. This is the basis of Indian Astrology. 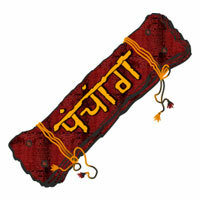 Hindu astronomy is called ‘Jyotisha’ in Sanskrit. It means the ‘Science of Light or of celestial Objects’. 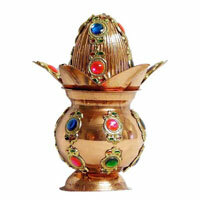 Astrology called ‘Phalita Jyotisha’ – is a subsidiary branch of the same. Its relationship with astronomy is akin to that of technology to basic or pure sciences. It is a well developed system that has evolved over several centuries both in the East and in the West. It is believed that science of astrology originally originated in India and has been practiced continuously for more than 8000 years. The very fact that the astrologers chosen and involved in certain tests were able to predict very correctly the professions, important events and even diseases, of persons whose horoscopes only had been supplied to them, shows that astrology is not superstition and astrologers are not humbugs. Little does one realize that the science of Indian astronomy was so much advanced thousands of years ago, that the word ‘day’ is derived from the Sanskrit root (Dagdh) fire (the Sun), without the help of a telescope, using only our rishis’ (re-see) ‘mindoscope’, their consciousness, that could match even the Hubble telescope in space. One cannot deny that moon’s gravitational force, which moves billions of gallons of water in the oceans producing high and low tides, could have some effect on the human systems, that are filled with water to the brim! Even our hard bones are 65 percent water ! Studies have shown how elective surgery, done on the new moon day vis-a-vis full moon day, results in marked difference in blood loss. So the cosmos, of which man is but a tiny part, will certainly have a say in his life. The inaccuracies in predicting the future using astrology is the Achilles’ heel of astrology. But that is the curse even of science of the highest order, physics as well, not to speak of the “Doctors predicting the unpredictable” everyday. No scientist, worth his salt, could predict the earthquakes in Kobe, San Francisco, or nearer home in Gujarat. The fault in predicting the future is not in physics or astrology but in us. Our sciences will have to progress to understand the working of Nature better to predict the future accurately. Fault is not in astrology or physics but in our methods. Let us study astrology in greater depth and then accept or condemn it. Prejudging anything is unscientific. Astrology has become more accessible now, and people no longer find its principles esoteric. For one thing, it’s easier to read about astrology in your mother tongue. Proficiency in classical languages is no longer a prerequisite. Accurate time keeping and calendars have brought it within the purview of the common man. •	The Greeks cast horoscopes based on the time of birth giving details about the finance, family, fate and future of the individual. One such horoscope from Greece, return on papyrus, about 2000 years old, is preserved at the British Museum. 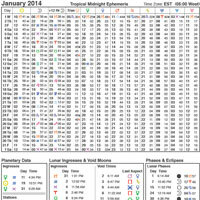 •	Pharonic Egypt too rated astrologers very highly. The pharaohs consulted astrologers to read the charts of the rival claimants to the throne, who were later put to death. •	One of the prerequisites for claiming kingship in China was the knowledge of astrology. In 2513 C. Cheuni was elected king in this manner. •	Even Alexander the Great took along his astrologer, Calisthenis, on all his campaigns. He incorporated the astrological traditions of whichever country they happen to attack. Thus every nation is credited with the knowledge of astrology. However, despite its ancient glories and triumphs, the relentless march of scientific enquiry has turned the astrologer into a soothsayer. No school of astrology can be the last word of authority and no two astrologers have the same perceptions. It relies more on the law of probability. Moreover there is hardly any governing body that will separate the wheat from the chaff. No wonder that charlatans abound to cheat the people. All said and done, astrology does provide a certain amount of solace to people buffeted by the slings and arrows of an uncertain life. It gives them hope that their troubles will disappear and provides them confidence to carry on with life amidst all ills. The records that exist in India today point clearly to a highly developed knowledge of astrology as far back as about 6,500 BC and actual manuscripts are still extant which were written about 3,700 BC. Some of the originals have been destroyed or lost but actual copies of these originals were made by later astrologers. 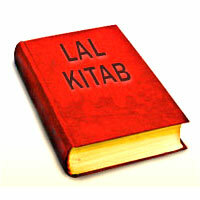 These are to be found in the libraries of Maharajas and in the libraries of certain states in India. Actual, detailed records of astrological science are continuous from about 6,500 BC. One of the earliest authors of Vedic astrology, copies of whose work are still to be found, is Pita Maha who wrote a treatise on astrology called Pita Maha Siddhanta. He lived and wrote this book about 3,000 BC. Five hundred years later, another author-astrologer named Vashishta wrote several books on astrology, astronomy and philosophy. His most important work, and one which was used as an authority by all subsequent writers on the subject, is Vashishta Siddhanta, but he wrote many other equally erudite and authoritative texts such as the Panch Siddhanta Kosha, Soorya Siddhanta, Nityananda, etc. Yet, Parasara’s Hora Sashtra and Varahamihara’s Brihat Jathaka, constitute the core Vedic Astrology Texts. Tension or stress is a natural reaction of the events that take place in our day-to-day life. It can be a friend or a foe of a person. When under control, it can ignite creative power and productivity in a person and can make him or her prospective as well. But when out of control, it can take horrible toll on his or her mental, physical and emotional health and ;) relationships and this is this second form of it that prevails the world over -whether, in family or in the office, in park .or in travel —in the present age of matter when everybody tries to grab every pleasure of life by this way or that. In today’s fast-paced world, we are experiencing more stress than ever before. A study ! conducted until recently shows that more than 45 percent people suffer adverse health effects from stress. We all know that anxiety disorders cannot be stopped. We can’t simply wish them away. In fact, they grow on most of us and eventually become chronic. So, the big question is what to do? Doctors and scientists are trying to find ways out. Researches are on but the situation is still far from satisfactory. But then there is hope as well in the form of different astrological paths and systems such as Ayurveda, Yoga, Pranic healing, acupressure, acupuncture and herbal medicines. Where Ayurvedic medicine and Yoga can help us in keeping our body fit and healthy, consultancy by consultants of different streams can really help us in easing out the stress and tension people are going through these days. Astrology acts as a psycho treatment to a person going through a bad phase and feels very lone. Depression and increased tendencies to commit suicide can be effectively controlled if correct astro advice is given to a person in advance to prepare him to accept the upcoming event. One can prepare oneself mentally to accept the rough patch without much problems.